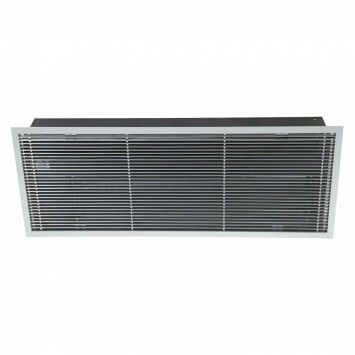 Recessed air curtains, with hot water coil to be fitted in commercial premises. High-performance, low-noise tangential impeller. Can be fitted in series. 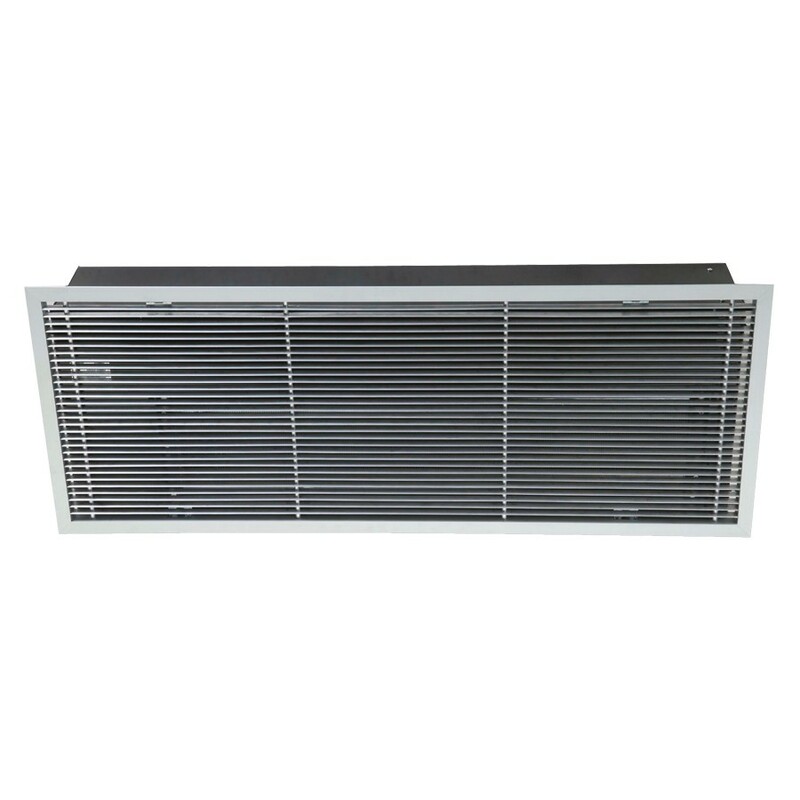 On request: Grille is not included with the air curtain. Can be supplied in different colours.